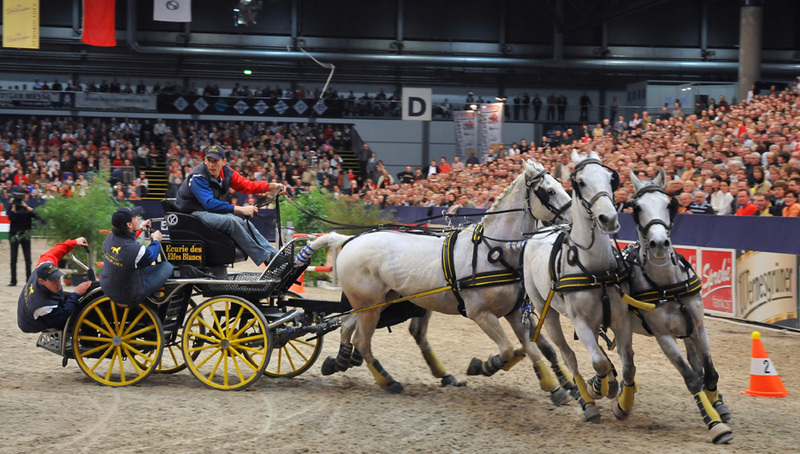 We Have 2 Sets Of Family Silver Tickets To Giveaway For The Equestrian.com Liverpool International Horse Show! 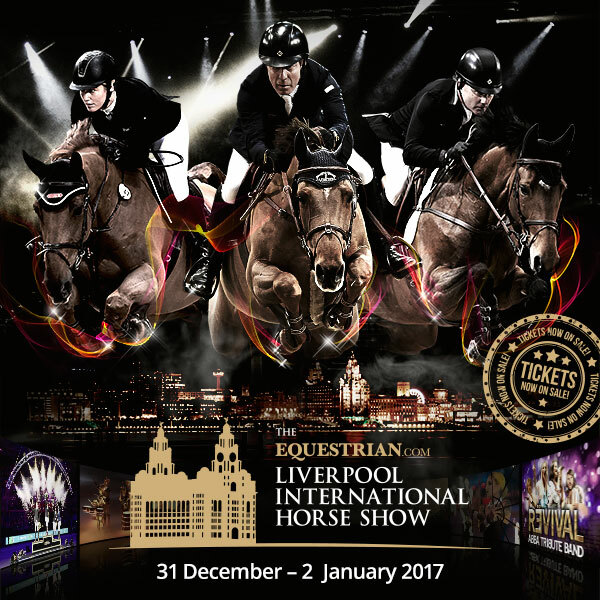 The Equestrian.com Liverpool International Horse Show is set to make a thrilling return on New Year’s Eve for what promises to be another three days of spectacular sporting action and family entertainment. The show, which enjoyed a glittering premiere performance last year, will run at Liverpool’a Echo Arena from December 31 to January 2. Showjumpers from across the globe will compete for a total £160,000 prize fund, highlighted by the Equestrian.com Grand Prix, which saw Irish star Billy Twomey crowned as inaugural champion. The stunning waterfront venue attracted bumper crowds for the show’s first running, and packed houses are again set to rock the city. Showjumping action will be interspersed with performances that hold a wide family appeal, including music from the UK’s no 1 ABBA tribute band ‘Revival’, the Shetland Pony Grand National, carriage driving from George Bowman, with teams competing in a speed challenge, the Black Fire Girls and so much more. And New Year’s Eve itself promises to be an unforgettable night, with exclusive acts lined up, including Collabro, the world’s number one musical theatre boy band and the winners of Britain’s Got Talent series 8, plus the Equitop Myoplast Puissance, which is always a show-stopper, and a spectacular indoor display of fireworks. All tickets give access to the show’s shopping village from 9am each day, with the shopping experience featuring a fantastic range of products from high-end equestrian outlets, exclusive fashion retailers, unusual giftware and beautiful things for the home. There will be many food and drink outlets on-site, including an upstairs Champagne Bar and the new Mersey View restaurant, which is open all day and suitable for all the family. VIP hospitality, meanwhile, offers a spectacular first-class ringside dining experience on the newly-designed raised platform at the head of the arena. Prices start from £165+VAT per person. For information about all of the hospitality options, including private boxes for 12 people, please contact Mel at the show office on 01829 307676. Show tickets start at just £11.50, with family tickets and season tickets available. The booking line number is 08448 000400, or tickets can be purchased online. For groups of 15 people and more, a 20 per cent discount on adult prices only for silver and bronze areas can be obtained. The booking line for this is 08445 617672. We have 2 Sets Of Family Silver Tickets To Giveaway For The Afternoon Performance On 1st January!